​Ricky Redmond is a legendary teen actor – legendary, at least, in his own mind (and his mother's, of course). 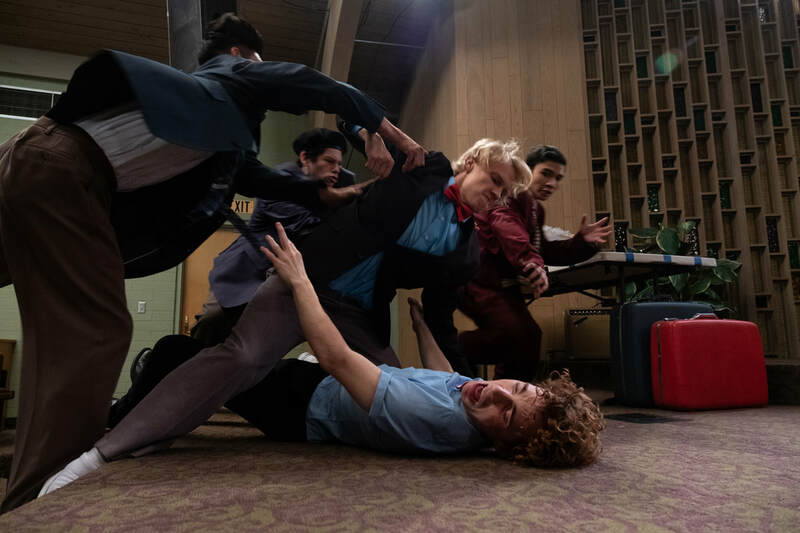 After several show-stopping performances as an underclassman in the St. James School’s musicals, he knows he’s a shoe-in for the lead role his senior year. But when baseball MVP Josh Kelly shows up at auditions, the never humble Ricky finally meets his match. ​Mustering up some team spirit, Ricky takes Josh under his wing to teach the rookie actor the ins and outs of being a teenage divo. He soon realizes, though, that Josh's star quality is more dangerous than he originally anticipated. The claws come out when Josh attempts to sabotage not only Ricky’s performance in the school play, but his entire future as a professional actor.